We may collect some information about you, as described in this Policy, but will request explicit consent before any data collection takes place. We will not sell your personal data but may share information with third parties in connection with providing the Services. Upon request, we will delete all personal data associated with your account. Personal Information is collected directly from you when you complete an online reservation, sign our waiver, sign up for newsletters, complete surveys or input information into our site in any way. Personal data may also be collected through an employment application. Information such as your IP address, physical address, phone number and company name. Information relating to your reservation or booking with us. For example name, address, contact information, travel needs (medical/dietary or physical restrictions), identity validation on services such as credit information for payment purposes, and publicly available information. We use the email address you provide at the time of booking to send you confirmation of your booking, waiver information and any other pre/post-trip information that may be relevant. To communicate with third party suppliers who provide services related to your trip. Occasionally we may send you email communications that we think you will find useful. For example, we might provide you with information about new features, updates, new products or special offers from time to time. You can choose not to receive emails from Abel Tasman Kayaks, by clicking the unsubscribe link found in these communications, or by contacting our customer support team. To measure statistics regarding the use of our site, such as the number of visitors, average time spent on the site, pages viewed and similar information. Like most websites, our site uses “cookies” and other technology such as pixel tags to improve user experience and to get to know our visitors. Cookies are small files which are automatically placed on your device when you visit our website. These cookies do not collect personal information but may log your general location (city, town or region), information about your device and tell us about how you use our website. More information about cookies is available on cookpedia and an article by VMO about cookies. Analytic cookies to recognise the number of visitors coming to our website and understand how they navigate around so we can deliver the best experience to site visitors. Some of these are necessary for our site to function. Functional cookies recognise returning visitors so content can be personalised and preferences remembered (such as language). Here's a detailed list of the cookies we use on our website. Abel Tasman Kayaks protects your personal information by security safeguards, which are appropriate to the sensitivity of the information. We have implemented technical, physical and administrative safeguards to protect personal information. For example, restricted access to specific programs, firewalls and software security, locked filing cabinets and restricting access to personal data only to those employees and partners to which it is necessary. We keep our employees up-to-date on policies and procedures regarding protecting personal data. Abel Tasman Kayaks does not disclose your personal data for any purposes other than, for which it was originally collected, unless we have first obtained consent from you. We will retain your information for no longer than is necessary to provide the services. We do not sell or rent your personal data. If you would like to access your information or would like us to delete or modify your information you may request this from our Privacy Officer. Abel Tasman Kayaks reserves the right to confirm your identity before providing this personal information. Abel Tasman Kayaks can refuse access in certain circumstances including when granting access would have an unreasonable impact on the personal privacy of others, when the request is frivolous or when it may impact Abel Tasman Kayaks rights and property. Your consent will be obtained either in person, through writing, email, telephone, or the Internet. Sometimes consent may be implied (eg. when transferring relevant information to a third party supplier, accommodation or transport partner). 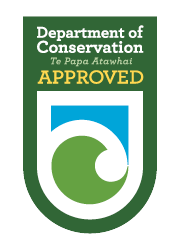 Also, Abel Tasman Kayaks may occasionally ask for written or verbal confirmation that the information collected and maintained is accurate and that your consent is still provided to maintain this information. Abel Tasman Kayaks reserves the right to change this policy at any time.